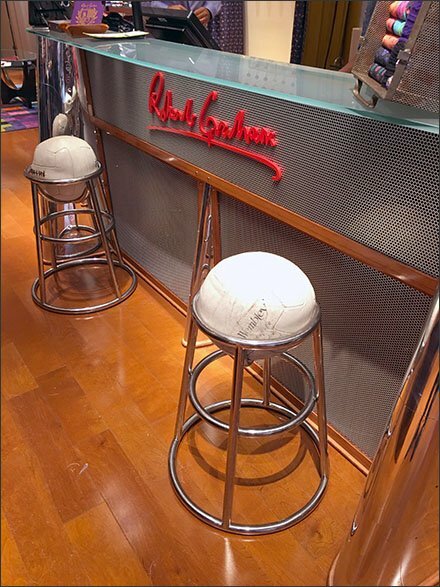 A handwritten Robert Graham® scrawled across perforated metal provides a visual centerpiece and branding for the service counter. Unique Wembley stools provide the seating, and look plump and comfortable even from afar. Robert Graham has the knack for unusual and it spills over into this outfitting. CLICK the thumbnail for logo closeup. Step through the gallery to inspect the service counter via various zooms ending with Wembley seating closeup.